Having a party? Make your bash a splash by hosting it at Azionaqua! Enjoy the beautiful scenery, refreshing pool and shaded shelter for your next birthday party or event. All parties must be approved by management to make sure we can accomadate your group. A guard will be assigned to your party to help with set up, clean up, and entertaining the kids. One week advanced notice required, please. If your party is scheduled during regular pool hours, normal pool activities will be ongoing during your event. For smaller crowds during your event, it’s recommended to schedule the event before 1:00 p.m. or after 4 p.m.
Due to staffing limitations, pool parties may be unavailable when Zionsville Community Schools are in session. Azionaqua is an alcohol-free facility. When booking your party have the following information available, number of people attending, date and time of the party, and method of payment. Ready to schedule your party at Azionaqua? 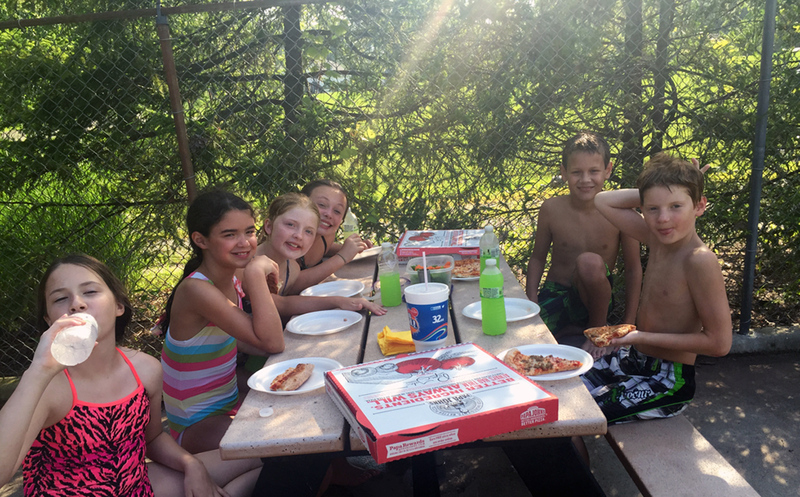 Contact us now or call us at (317) 873-3913 – we can’t wait to help you plan the perfect party at the pool!